You can't go wrong with these cafes which show off some of the best scenery that Canberra has to offer. The National Museum of Australia cafe is perched just on the water and serves an interesting selection of light meals. Bookplate at the National Library of Australia has a prime position on a terrace overlooking the lake. 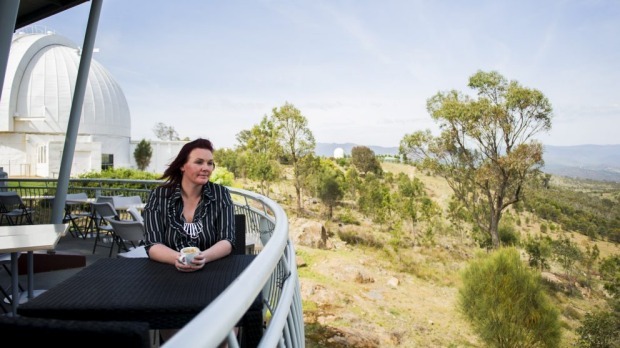 Scope, the cafe at Mount Stromlo, doesn't just have a great view the Brindabellas but also of the heavens above - look out for star gazing nights. The National Arboretum cafe is also a beautiful spot. 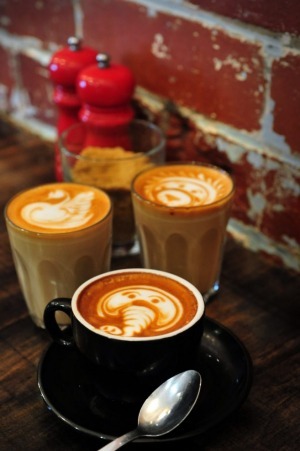 Canberra's coffee lovers tend to flock to their favourite haunts. Cyclists and shoppers stop by Good Brother on Challis Street in Dickson, a little nook on the Asian restaurant strip. In Civic, city dwellers are spoilt for choice. There's Two Before Ten, tucked in next to a Subway in a courtyard off Marcus Clarke Street, The Cupping Room on London Circuit which combines a fairtrade coffee project with South American flavoured menu, Mocan and Green Grout round the corner on Kendall Lane and Farmer's Daughter which has opened up a kiosk in the Canberra Centre. Meanwhile up the road in Braddon, Lonsdale Street Roasters has expanded from a cult coffee place to a full fledged cafe that's popular for lazy catch ups in the sun. And on the southside there are fans for 38 Espresso and Lonsdale St Roasters' offering Remedy on the Kingston foreshore, ONA Coffee at Manuka and Fyshwick and Lava in Phillip. Sometimes all you want is just a coffee and a slice of cake at the end of a good night out. 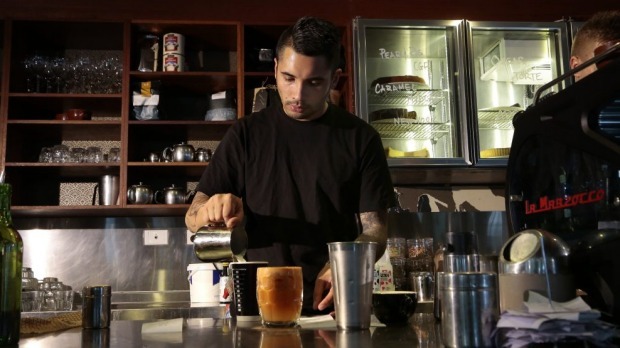 These cafes will do the trick for you. Dolce and Salato Pasticceria in Garema Place, Civic has an impressive glass cabinet filled with pretty cakes and Italian pastries and stays open late seven days while the newly opened Dessert Castle on Childers Street promises to stay open late Thursdays to Saturdays. The stalwarts of Civic's late night cafe scene remain the Bunda Street cafes Koko Black, which provides a chocolate fix until 11pm on Fridays and Saturdays, Gus' the original alfresco cafe and its near neighbour Cafe Essen. And if you've finished drinks in Manuka but it's too late to grab dinner then you can always get a bite at My Cafe on Franklin Street. We covered some of these in our Mother's Day guide a while back but A Bite to Eat at the Chifley shops is welcoming of kids and has a courtyard out the back. 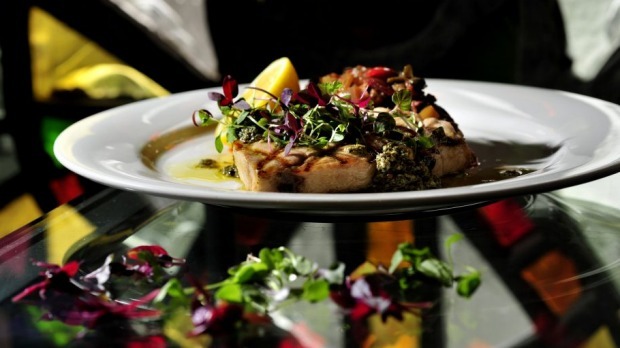 Oaks Brasserie in Yarralumla has always been a favourite for families with its tables and chairs set among lush gardens, and it's also dog friendly. Any of the cafes on Green Square in Kingston - Bittersweet, Kingston Grind, Pizzazz - are perfect for children, who can play on the grass and still be in eyeshot. Tommy and Me in Macgregor is specifically designed for families and kids can get a milkshake loyalty card. Ricardo's at the Jamison Centre sits right beside a playground. There are now a couple of cafes in the city that focus more on paleo and the "clean eating" lifestyle, including a branch of the national chain Thr1ve in the Canberra Centre.. Local Press on the Kingston foreshore serves paleo oriented breakfasts, as does Paleo Perfection Espresso Bar. Vegetarians are catered for at Sweet Bones bakery and cafe in the trendy Lonsdale Street Traders while V Spot Cafe in Garema Place is all about vegetarian, organic dishes. And Satis at Watson shops has been flying the vegetarian flag for years while My Rainbow Dreams in Dickson, run by disciples of Sri Chinmoy spiritual movement, serves a staunchly vego selection. We can't leave out the ritual of going to a public service cafe. Even though each department has its own cafe it seems to be an unwritten rule that everyone snub their domestic cafe and seek solace in the one across the road, ignoring the fact that everyone else at that department is doing the exact same thing. But Double Drummer in Barton has been getting some buzz in the triangle, while the DFAT cafe, Cafe Cino at Communications and Hideout on National Circuit all have a few fans. The Sydney Morning Herald Good Cafe Guide and The Age Good Cafe Guide are out now from smhshop.com.au.